I was surprised to hear that the TVRR Museum was open in the winter, so I thought I’d head over there and check it out before the tourist season. I’m glad that I did, because I ended up with what amounted to an incredibly well informed, guided tour. Kudos to the museum volunteers. 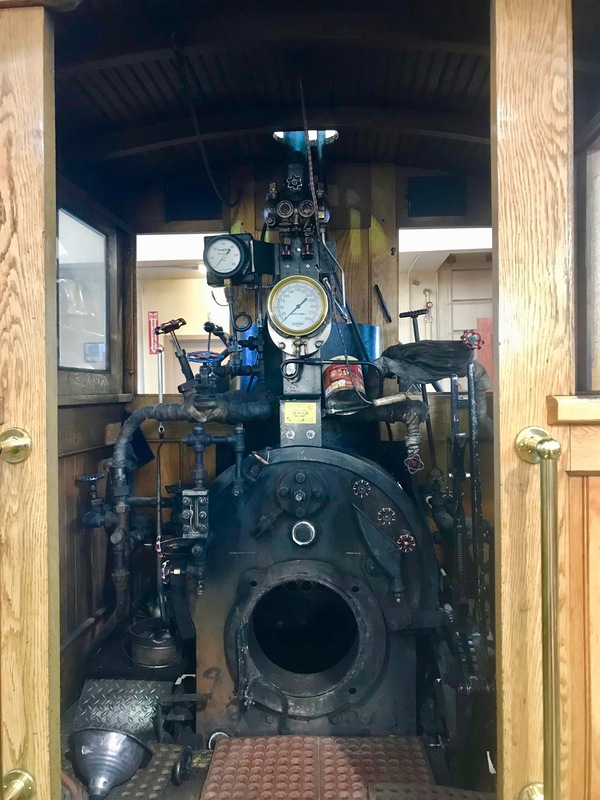 The museum owns and operates the only steam locomotive in Alaska. There is another locomotive in Wasilla, but it is not in operating condition. Engine No.1 was built in 1899 by the H.K. Porter Locomotive Works of Pittsburgh, PA. 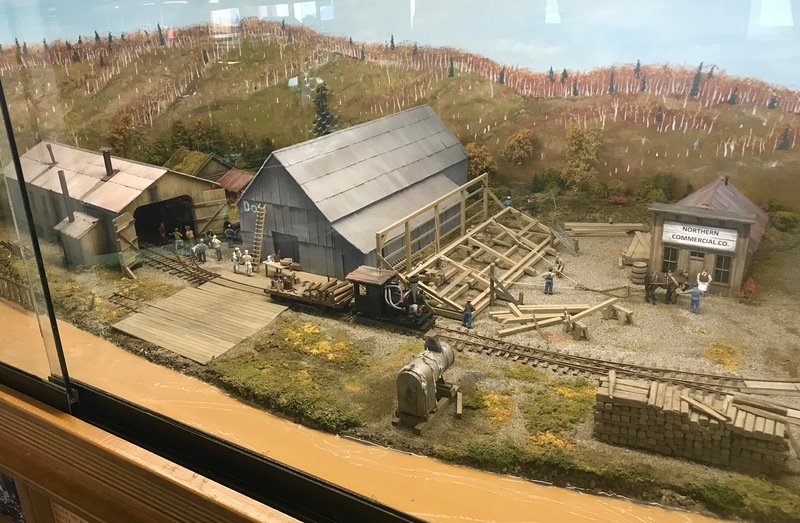 It was the first locomotive in the Yukon Territory, and when it arrived in Chena, Alaska on July 4, 1905, it became the first locomotive in Interior Alaska, as well. Chena was located ten miles downstream of the rival town of Fairbanks, at the confluence of the Tanana and Chena Rivers. 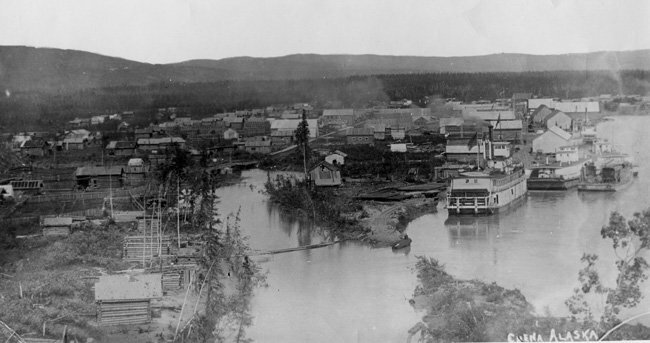 The larger riverboats had difficulty navigating the Chena River, which made the community of Chena a good option for the unloading of goods & supplies. The town had a lumber mill, hospital, school, city hall, dance hall and three newspapers. In fact, one paper, the Tanana Miner was bought by the Fairbanks Daily News to become the Fairbanks Daily News-Miner, which is still the Fairbanks newspaper. 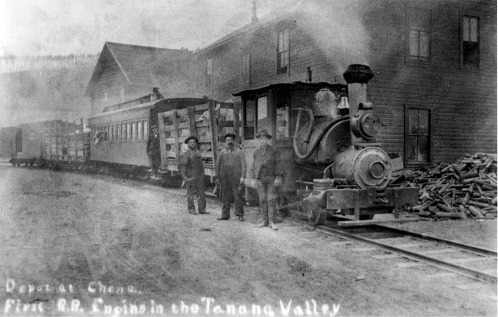 The Tanana Valley Railroad started out as the Tanana Mines Railway. Track was laid from Chena to Fairbanks, and through the Goldstream Valley to Fox. It was a narrow gauge railway. The TMR gave way to the TVRR and the track was extended out to the mining claims at Chatanika. At its peak, three trains made a roundtrip run from Chena to Chatanika every day. By the end of 1917, the TVRR was in financial trouble. The gold in the Chena and Chatanika Rivers had played out quickly. The Alaska Engineering Commission, precursor to the Alaska Railroad, bought out the TVRR in December of 1917. Engine No.1 was retired in 1922, and by 1930, the Alaska Railroad had closed down the final TVRR line. Today, one would be hard pressed to find any evidence of the town of Chena. Anything left is buried under feet of river silt. Engine No.1 sat outside the International Hotel and Samson Hardware for years. The locomotive was then moved to Alaskaland when the park opened. In 1991, volunteers took on the daunting task of restoring the old steam locomotive. On July 27, 1999 the old engine was up and running, and in 2000 it was once again hauling passengers. 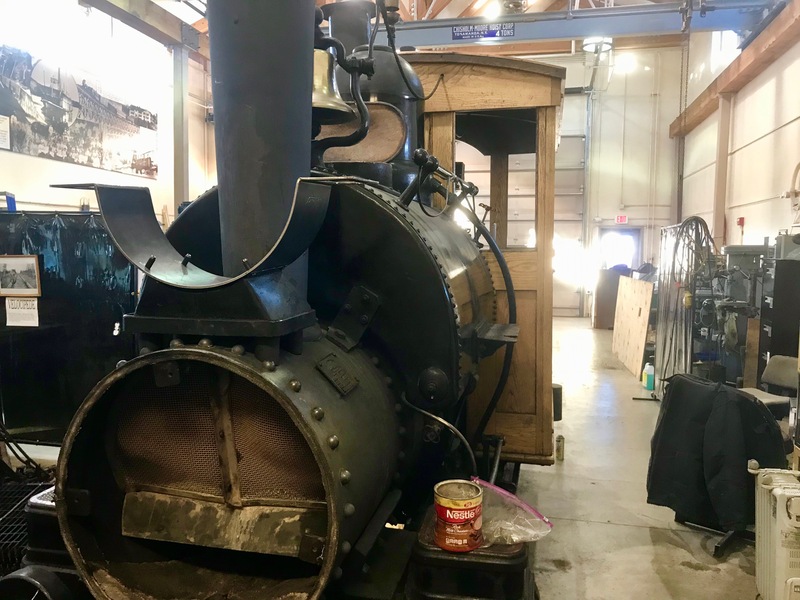 When I stopped by, Engine No.1 had just received its annual inspection, and they were in the process of putting her back together again for another season at Pioneer Park. Engine No.1 runs the tracks at Pioneer Park a half-dozen times a year. The rest of the time, the duty is performed by it’s replica, No.67. Tickets cost $2 for adults and $1 for children. 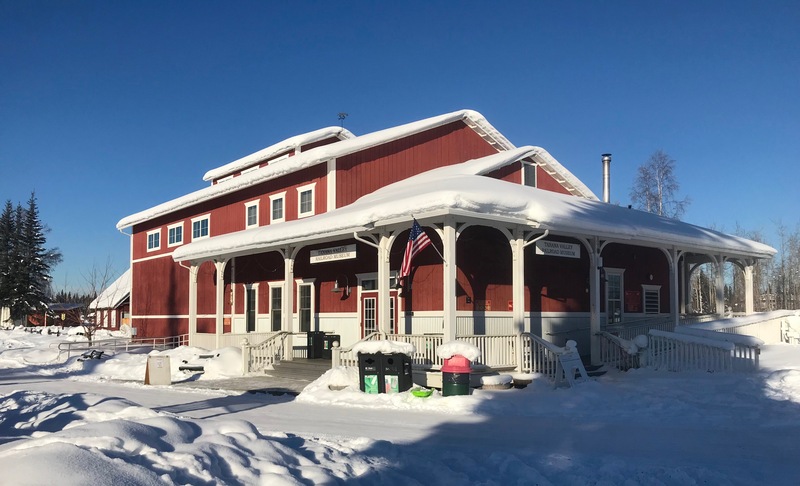 The museum is not a large building, but it is full of Alaska rail memorabilia and artifacts. 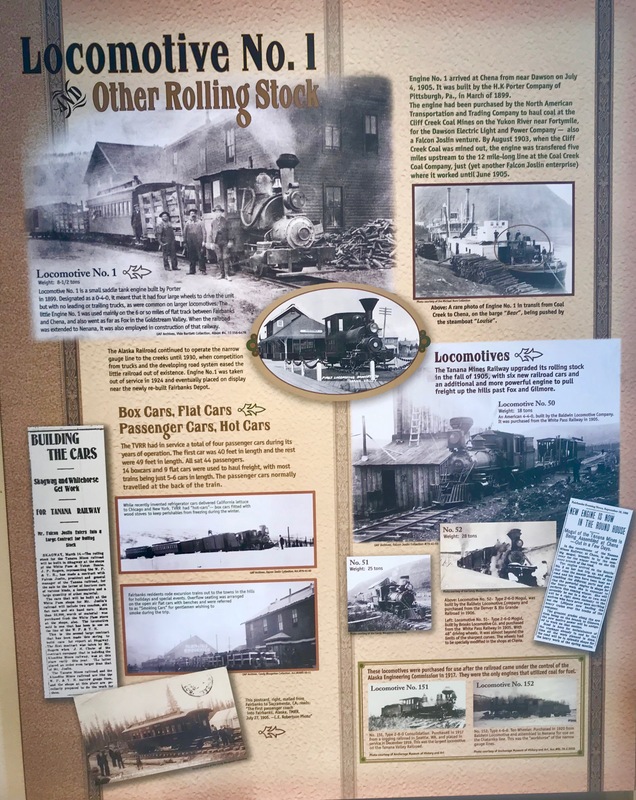 Historic pictures line the walls, as do railroad lanterns and even an original TVRR time schedule. The volunteer when I stopped by, a self described “train geek”, was incredibly generous with his time and info. Honestly, he was a wealth of information on the history of the Tanana Valley Railroad and the status of the railroad in Alaska today. Well worth the time to stop in while walking the paths of Pioneer Park. Admission is free, although I’m sure donations are needed & appreciated.